Are you worried that your Florida home is under attack from termites? 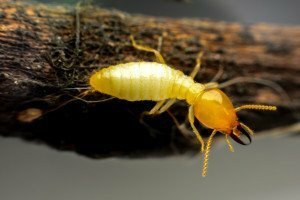 Even though these pests can damage your property in major ways, Brantley Termite & Pest Control can help to send them away for good. We’ll even set up protection to keep them away in the future. Call us today. If you’ve recently begun to see tiny mud tunnels on your property, subterranean termites are probably living nearby. These destructive pests feed on cellulose-based plant materials like wood and can travel hundreds of feet to find a meal. They keep themselves safely protected using mud tunnels to shield them from the sun’s rays and other elements of danger. Our methods have proven to be highly effective against subterranean termite infestations. Not only do we conduct strategies to eliminate existing colonies, but we also set up barricades against the possibility of future events. Your home will be as safe as possible against a recurrence of subterranean termite invasion. Our products are chosen with our customers in mind. We select the safest treatments and provide educational guidance on their use and efficacy. The barricades we set up keep the termites out without affecting your property in any way. If you have questions or would like to learn more, please read more about our process and the benefits we offer. Yes, our record is one of success. We eliminate termites fast and efficiently. We deliver old-fashioned customer service that puts a smile on your face while catering to your every need. We offer an exceptional level of expertise, giving our clients exactly the kind of service they deserve and have the right to expect. 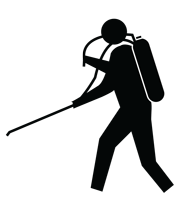 Using specialized tools and previous knowledge about the habits of subterranean termites our technicians conduct a full examination of your property in search of the telltale signs that these pests have taken up residence on your property. We’ll create a report that we’ll share with you, using the information it includes designing the best course of action. We’ll even take note of signs of past infestations in order to help us design necessary precautions against future invasions. Our technicians use their roadmap of the affected areas as well as those locations that pose a threat for future infestation to develop clear guidelines for treatment placement. The plan includes treatment intended to produce immediate results as well as measures to help prevent future invasions. Before we begin, our technicians discuss the treatment plan with you. We ask if you have any questions, explaining them to your satisfaction. We apply a liquid solution that penetrates deeply into the ground for the purpose of destroying these pests. Keeping your home safe against termite damage is as simple as watching for the signs that an infestation has occurred and calling us to handle it.